Franklin and Healthy Living Team Up (once again)!! Healthy Living Market and Cafe Saratoga will be supporting the Franklin Community Center(FCC) during June & July 2015 as their Front End Fundraiser. While cashing out ask your friendly cashier to donate to FCC when you check out and you can choose whatever amount you wish or are able to give. Each donation gets a paper FCC house posted up in the Front End of the store. 100% of the proceeds raised supports the programs and services of Franklin!! Healthy Living Marke and Cafe Saratoga will be hosting a food drive to benefit the Franklin Community Center on June 15th. Donate a non-perishable food item or a new, unused school supply at Healthy Living between 11am and 1pm, and you’ll receive a free reusable shopping bag. Healthy Living will also be discontinuing our plastic grocery bags on this day. Click here for the details. 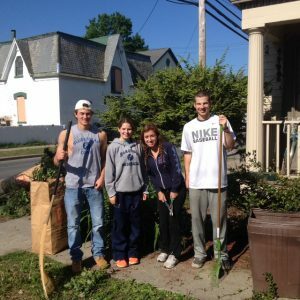 We are so happy that Franklin was chosen as a volunteer site for the Saratoga Springs High School Senior Give Back Day again this year!! We had an amazing team of volunteers, led by faculty member Matt Nelson, spend the morning on May 22nd getting our 3 properties back in shape for Spring. Thank you Matt, Amanda, Jack, Lizzie, Cam, Bridgett, Jillian, Zach and Tyler!!! Hello everyone! My name is Patrick and I am incredibly excited to be interning here at Franklin Community Center over the summer. I am a Human Services Major at Cazenovia College with a minor in Sociology and will be going into my junior year this fall. I really enjoy college; I find that I’m learning a lot of things and making some good friends with both my fellow students and some of my professors. I’ve also gotten the chance to take some really interesting courses both related and unrelated to my major. As I said, I’m super excited to be working here for the summer. 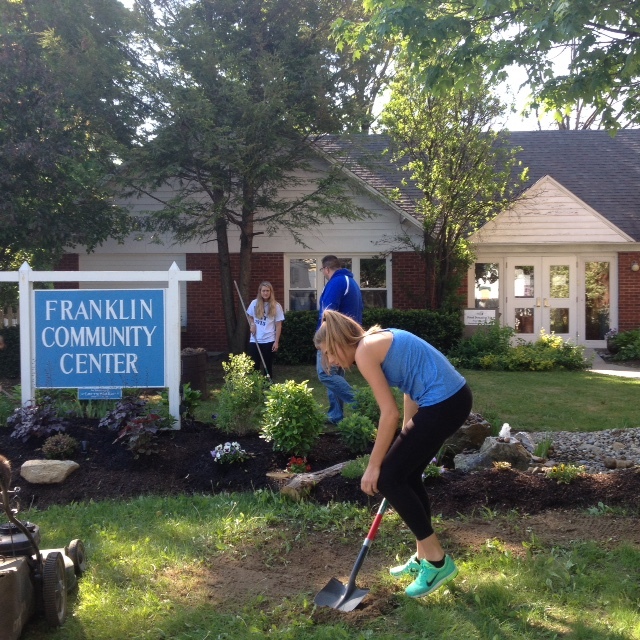 I’ve done volunteer work with Franklin Community Center in the past, and really enjoy helping out here. 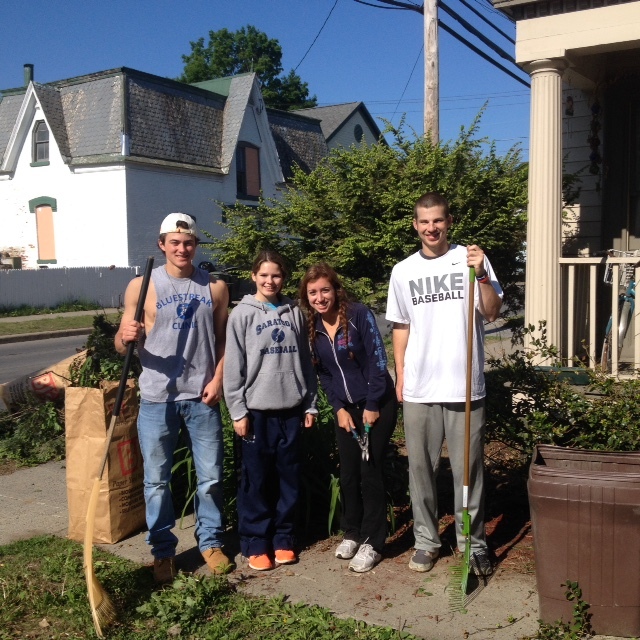 The work that is done here has a tremendous importance to our community and really helps to make it a better place. I’m glad that I’m now a part of that work and happy in knowing that my work here really makes a difference. At the time I am writing this, I’m helping Jaime get everything ready for the 17th Annual Franklin Open Benefit Golf Tournament. I’m enjoying what I’ve done so far and am hoping to help with a lot more things once this is finished. Overall, I’m looking forward to learning from this internship and doing my best to be a great intern.